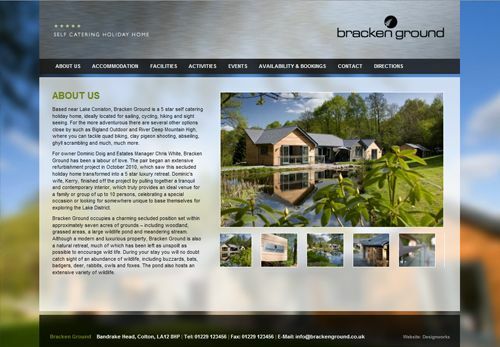 The Bracken Ground website follows on from our branding work. The design of the site reflects the look and feel of this modern building. The brushed steel header, the transparency and the blurred background image all contribute to the beautiful finish of the site and complement this five star self catering holiday home.